Long, championship play on a ball golf course. 10 Par 3's, 7 Par 4's and 1 Par 5 make this Par 63 very difficult. Course plays along 9 hole Members Only Golf Course. Rolling Hills, Ponds, Tall grass and beautiful views! 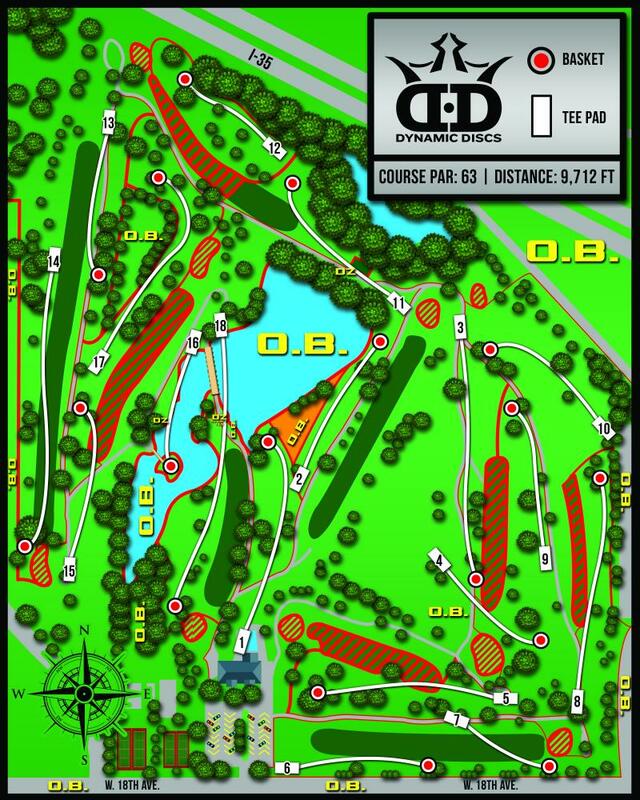 Course used during the Glass Blown Open, and 2016 PDGA Pro Worlds. *Dress Code - MUST WEAR COLLARED SHIRT. A Pay-to-Play course, please call ahead to make sure they are open (620) 342-0343. I-35, exit 130. South on KS Hwy 99/Merchant St. West on 18th Ave. Six blocks on right (North). Have you played at Emporia Country Club? Be the first person to review this course!